Most wine pairings start with the food. We’re having X for dinner, what wine would pair best? 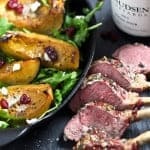 But what if you have a fantastic wine and you want to create the perfect meal specifically to highlight that very wine? I’ve been haunted by one such wine for over a month now. I had a chance to first try this wine over lunch at Clyde Common with Page Knudsen Cowles, Partner and Managing Director of Knudsen Vineyards, back in October. The wine? 2013 Knudsen Vineyard Pinot Noir from the Dundee Hills in Oregon. The second Pinot Noir produced from Knudsen Vineyards in their growing collection of outstanding wines. I tasted their inaugural vintage last year when I first learned about the Knudsen’s decision to produce wines from the vineyards they’ve had in their family since the 1970’s. Page’s late father Cal Knudsen was among the first pioneers to plant vineyards in Oregon in the early ‘70’s, and the first in the state to plant at a large scale (large by Oregon that is, while most were planting 2-3 acres at a time, Cal was planting 20-30). 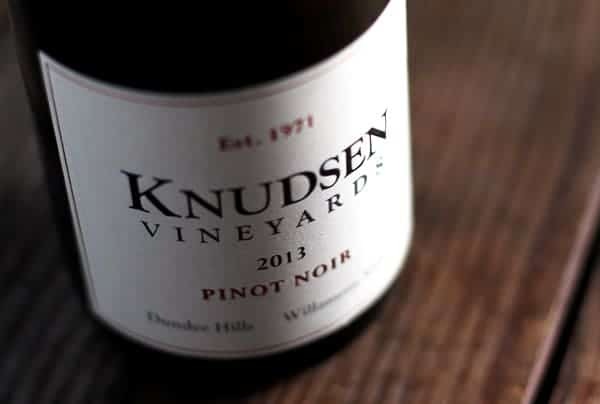 Though the name Knudsen has become nearly synonymous with some of the best sparkling wine to come out of the state (up until recently all of the fruit from 130 acre vineyard went exclusively to Argyle Winery), Knudsen’s second generation has decided to start their own label — making Pinot Noir and Chardonnay — to honor the pioneering spirit of their late parents, Cal and Julia Lee Knudsen. You can read more about that first vintage here. What I am excited to celebrate today is their 2013 Pinot Noir, and how it literally tastes like fall and how it’s been my mission to create a meal to honor this silky smooth wine. When Page and I sat down to lunch that day we didn’t start by talking about the wine. We talked about cycling. Yes, cycling. I learned that Page is a very active woman and recently spent a few weeks riding her bike around France. This is on top of the many hats she already wears. How cool is that?! One of the things that struck her from that trip was some of the amazing food she had, which then got us on the subject of food — a subject we could have talked about all day long. What should we order to pair with the wine, Page wondered? After taking a few moments tasting the wine and reviewing the menu, it was clear the wine could hold up to some bolder flavored foods. Though the wine was barrel fermented for 15 months (in predominately older oak), you don’t get a hint of harsh oak at all (at all!). Among loads of gorgeous red berry fruit, it had distinct herbal notes — like the kind of herbs you find throughout fall (notably sage, rosemary, and earthy thyme) – as well as some Asian spice flavors. I wanted to bring out some of those characteristics, so we ordered a couple of squash-based appetizers. One of those was a squash soup (I assume butternut squash, though it wasn’t clarified), and the other a roasted acorn squash with arugula and chèvre (the menu stated delicata squash, but our server pointed out that it was acorn). For the main course it was a pulled pork sandwich (I secretly wanted to know how well they make pulled pork. The answer? I think ours is better. Shhhhh. Don’t tell!). Pork is definitely a typical pairing with Pinot, so we knew at the very least it would work just fine, and it did. The acorn squash salad was fantastic with the wine. The spicy arugula, creamy chèvre, and the sweet flavors of the squash illuminated everything good about the wine. I didn’t get any photos of lunch that day. I was too shy to be the food paparazzi in front of Page, so my camera stayed put. I couldn’t get that idea out of my head. I had to make it to see if it would work. I think it’s now safe to say this was one of the best pairings we’ve come up with. I generally hate calling any pairing “perfect” because you honestly have so many options when it comes to food and wine, and taste is so completely subjective. But I’m gonna go and throw that idea out the door, at least for today, because this pairing was damn near perfect! The wine is definitely gorgeous on its own. It’s incredibly elegant and graceful (but not too delicate). At first sip you get all those pretty berry flavors of cherry, raspberry, and cranberries. Then the herbs and spices start to sneak in. Then once you pair it with the savory lamb the wine’s structure makes itself known. 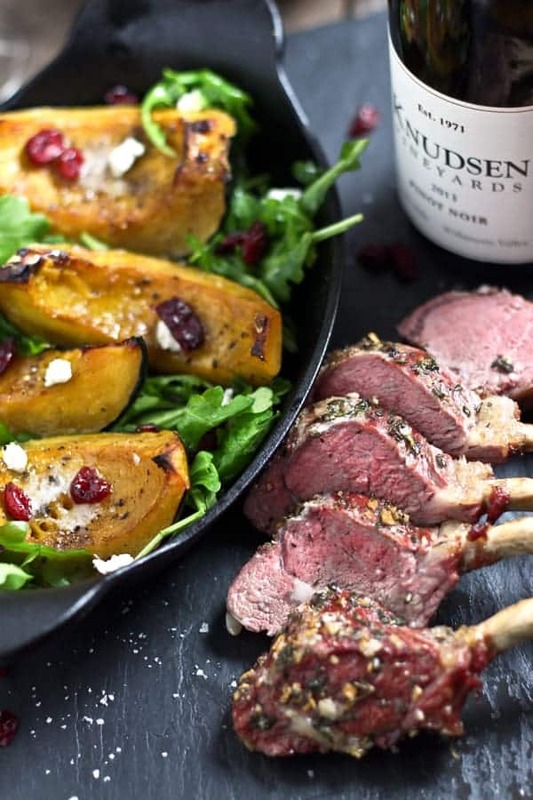 I didn’t suspect the wine had such a boldness until it was introduced to the flavorful lamb. The elegant princess suddenly becomes a confidant queen. The squash blew us both out of the park. Sean made it known about halfway through dinner that he actually hates acorn squash, but he didn’t want to hurt my feelings by announcing that before dinner. But after eating his first bite he changed his mind completely. In fact, he had three servings of the salad (seriously he never eats salad!). The way the spicy arugula and chèvre, and sweet dried cranberries, and a slight drizzle of rich balsamic worked together was outstanding. They were such a great team. And everything paired seamlessly with the wine. And Sean has actually requested we make this salad again for Thanksgiving, which is actually a brilliant idea. How pretty would that look on the festive holiday spread? This is the kind of food and wine pairing experience that people write those books about. 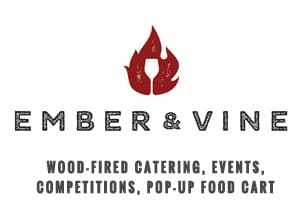 The experience of both the food and the wine being elevated as a result of being matched up together. Alone they are good, they are strong, and they can survive without each other. But together they can accomplish anything. They are a rockstar team. This is truly an amazing date night dinner. But simply double or triple the portions and you’ve got a super easy and super elegant dinner party meal! We went with a simple herb crust and cooked it on the grill to caramelize the crust a bit. 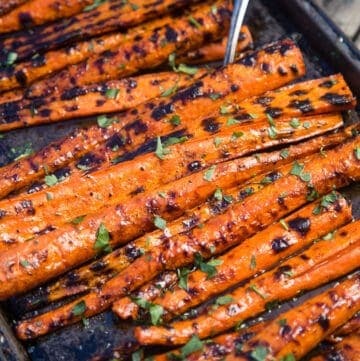 You can cook it on the smoker or grill (you can even roast it, but why would you go and do that if you have an incredible cooking mechanism in your backyard?!). 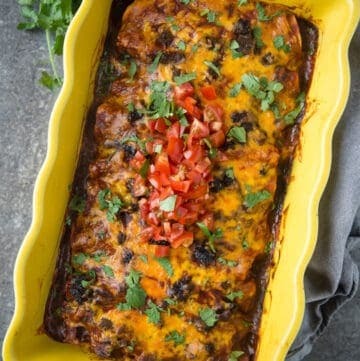 You can find a similar recipe here. This was also just as simple. I cut the squash in half to remove the seeds, then cut it into six total wedges. 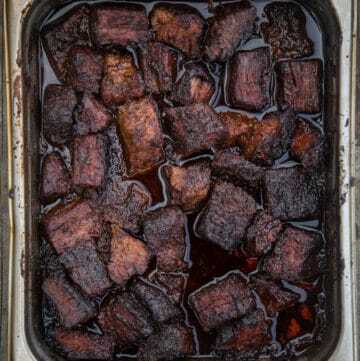 Toss it in some melted butter, brown sugar, salt and pepper, and roast it for about 35 minutes. Serve it over some arugula, topped with chèvre, sweet dried cranberries, and a drizzle of aged balsamic vinegar. A super easy date night dinner. Double or triple for an elegant dinner party. 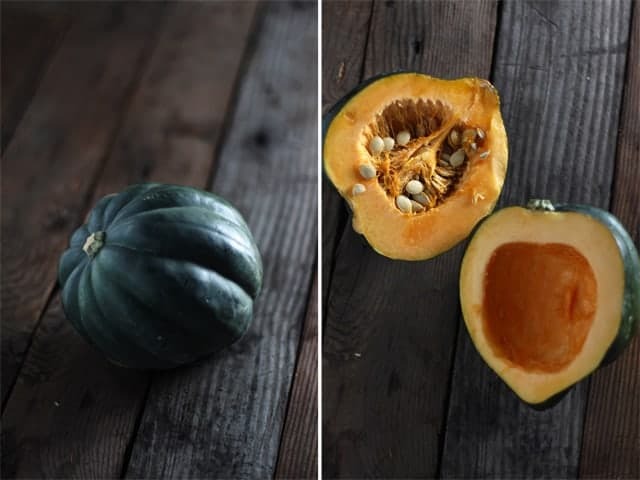 Squash recipe inspired by Clyde Commons Restaurant in Portland, Oregon. Rinse lamb with cold water and pat dry. In a small bowl combine the ingredients for the paste and stir together. Coat the lamb chops liberally with the paste and put onto the smoker. After 40 minutes check the internal temperature of lamb. 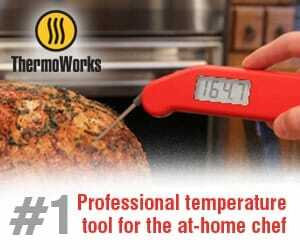 Insert the thermometer into the center of cut, between the bones and pull at 140 – 145 degrees for medium rare. Let sit for about 10 minutes for juices to redistribute. Cut between the bone and serve alongside the squash. Cut butternut squash down the middle, lengthwise. Remove seeds, then cut each half into 3 equal pieces (you’ll have 6 pieces total). In a large bowl, combine the melted butter and brown sugar. Toss with the acorn squash pieces, then add salt and pepper. Toss again. Lay out the pieces on a foil rimmed baking sheet skin side down. Place in oven for 35-40 minutes, or until squash is fork tender. Remove and brush with more melted butter if you desire. In a separate bowl, toss together arugula, olive oil, chèvre, and dried cranberries. Place on your serving dish and top with the roasted squash pieces. 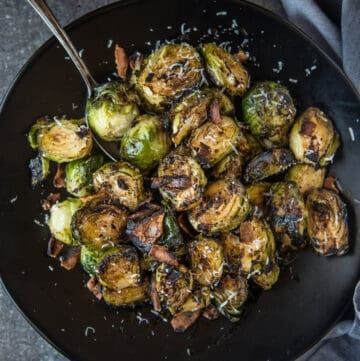 Drizzle with aged balsamic (optional). Have you ever created a meal based around a specific wine? How did it turn out? And it you have any favorite wine and food pairings I’d LOVE to hear them! 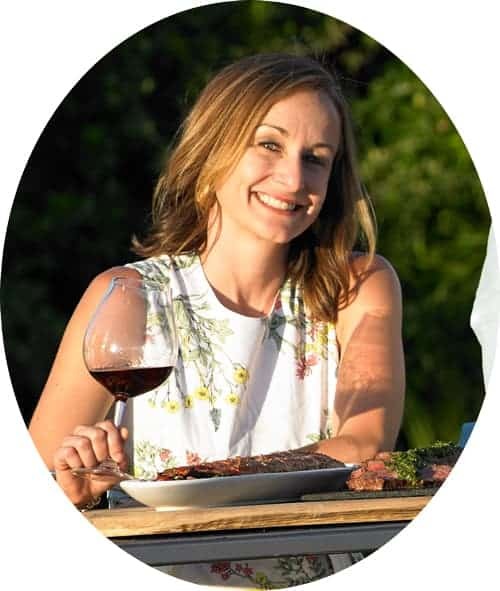 For more about Knudsen Vineyards, check out this piece from their inaugural release. Or this Smoked Roasted Chicken recipe we made to pair with their stunning Chardonnay. *The 2013 Pinot Noir was provided as a sample for review. The recipe and opinions are all ours. 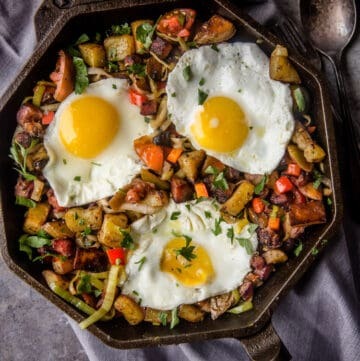 I LOVE fall squash recipes. I am vegan, so will have to sub out the butter for vegan margarine, but I’m sure it will taste just as amazing. Yes absolutely, just swap out the butter and leave off the cheese (or use a vegan alternative). It’s so delicious! This looks amazing! I have to give this a try! I am starting to experiment with recipes that has Squash in it. I made a butternut squash soup the other day and it was devine! I have never tried Acorn squash so this should be great! Bookmarking! This salad looks absolutely AMAZING. I admit I’ve always been a butternut squash girl, but this is pretty tempting. And I do love argula salads and cranberries, so that helps! Beautiful photos! I’m hungry now! 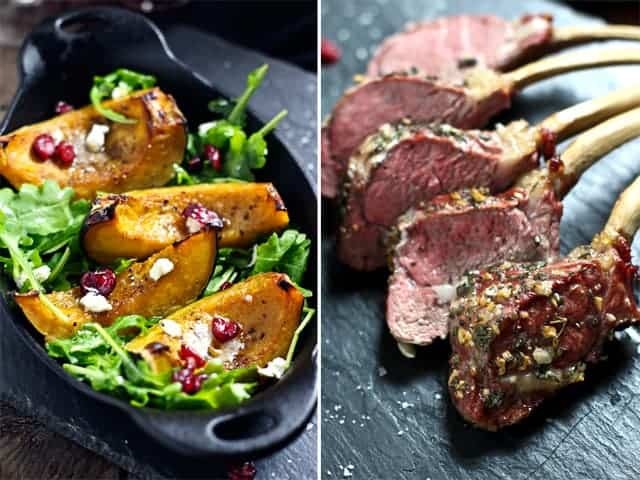 😉 Acorn squash is a favorite of ours, but I have’t had lamb in years. I’ll definitely be trying this, thanks! Thanks so much 🙂 We love lamb around here, and we definitely don’t make it near enough! Cheers!! Such a beautiful meal and perfect pairing of the vino! 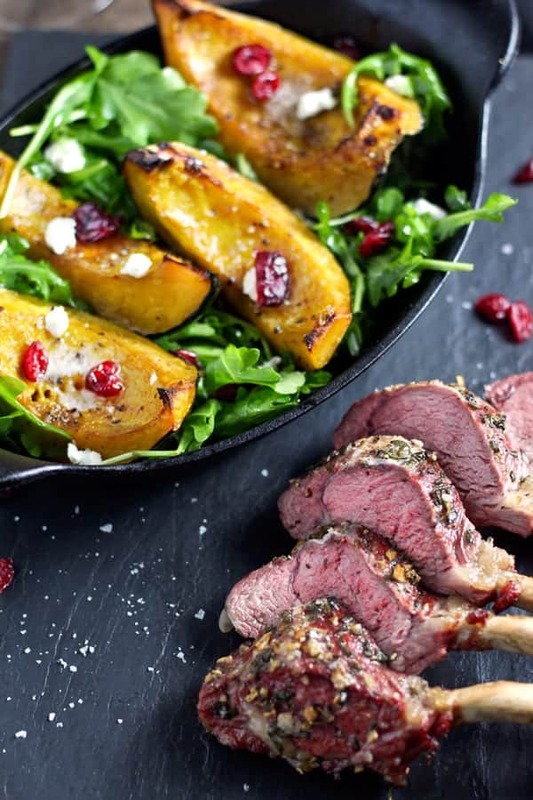 Those lamp chops look amazing…and now I’m hungry! Now this is a fancy meal I should treat myself too. Your photography is absolutely stunning! 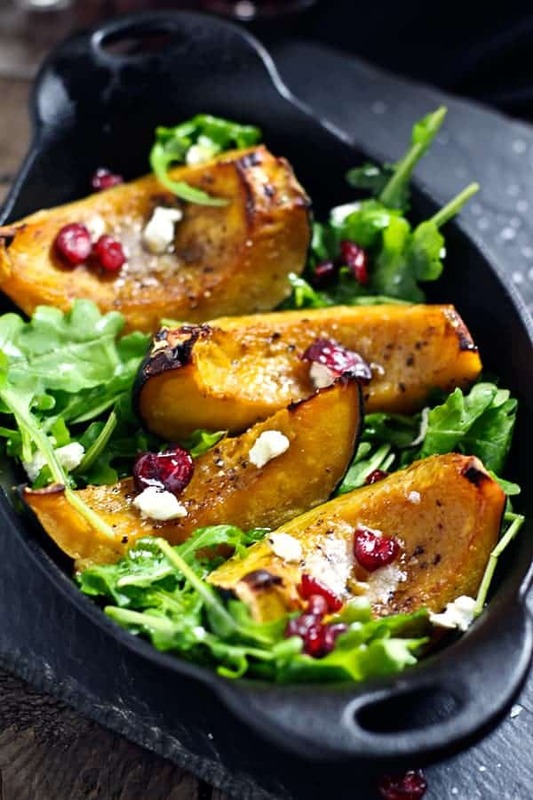 lamb isn’t necessarily my thing, but i LOVE acorn squash prepared like this! delicious and beautiful! Thanks you 🙂 And feel free to leave out the lamb! The salad is hearty enough on its own! !